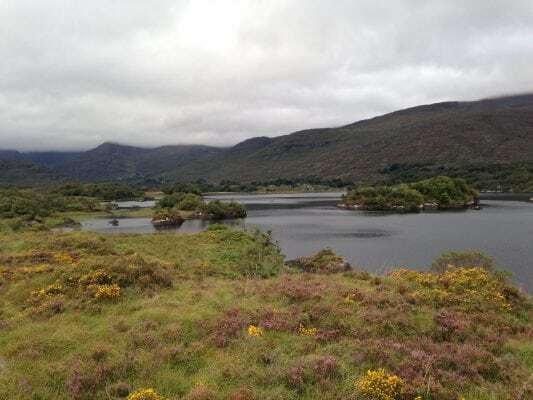 You will proceed to cycle from the transition area in the Black Valley to Lord Brandon's Cottage and along the Kerry Way to the main N71 Ring of Kerry Road. From here it is a slight downhill section to the Finish line in the Gleneagle Hotel. You must drop you bikes at the bike racks 200m before the finish line and run across the finish line, where a hot meal and a Japanese hot tub will be waiting for you. Terrain: 16K Sealed Road, 4K Gravel Path. Please note that you must dismount your bike at a narrow bridge on the gravel path to Lord Brandon's Cottage. Precautions:The cycle along the Kerry Way to Lord Brandon's Cottage is a narrow gravel track. There is no opportunity for overtaking along this section. The roads are not closed and are open to traffic. To see the route, use our Map of Ireland and Sat Nav tools on our website and our GPS maps on our free ActiveME App HERE for iPhone and Android to find and follow the route. Feel free to send us your photos and add you own star rating, comments or suggestions below.